American Cruisers of World War II: A Pictorial Encyclopedia by Steve Ewing - a nice softbound volume on all cruisers that saw action during the war. The 6 NORTHAMPTON class Heavy Cruisers were built to add more firepower to the US Navy's battle fleet which could not build any additional battleships due to the 1922 Washington Naval Treaty. This treaty called for a building holiday for the construction of any new battleships for 10 years and also limited the size, armaments and total tonnage allowed to build cruisers. Because of this all the cruisers built during this time were referred to as' Treaty Cruisers. 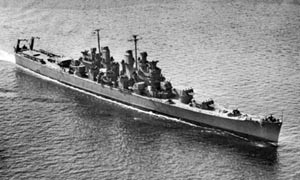 The NORTHAMPTON class cruisers possessed good firepower and speed at the expense of adequate armor protection and anti torpedo defense systems. This hull comes with a detailed set of arrangement plans for the CA-28. Special Shipping: This hull can be shipped via FEDEX Ground Service as in OS-2 size package. Minimum Shipping and handling in the USA 48 states is $ 105.00. For information regarding a propeller shaft set for this ship click here. 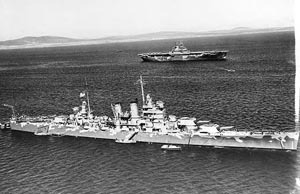 The INDIANAPOLIS (CA-35) and PORTLAND (CA 33) were improved and enlarged versions of the previous NORTHAMPTON (CA-26) class heavy cruisers, they carried the same armament as the CA-26 class with improved armor protection and full flagship facilities. The lNDlANAPOLlS served as a Flagship for most of her career. Affer delivering the atomic bomb to Tinian Island, the ship was torpedoed and sunk by the Japanese submarine I-58 just two weeks prior to the end of the war. The PORTLAND also earned 16 battle Stars for her World War 2 service. This hull comes with a set of arrangement plans. Please note: this is not a complete kit, running gear, decks and building materials not included. Please note that this hull is not in production yet, we will remove this notice when it is available for ordering. The SAN FRANClSCO was a member of the NEW ORLEANS (CA-32) class Heavy Cruisers. There were 7 ships built in this class during the 1930's. Three of these ships, ASTORlA CA34, QUlNCY CA-39 AND VlNCENNES CA-44 were all lost in the Battle of Savo lsland in August of 1942. 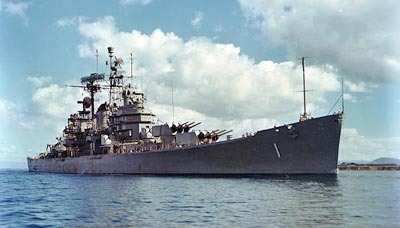 The SAN FRANClSCO was the most decorated cruiser of World War 2, earning 17 battle stars and the Presidential Unit Citation for her outstanding war service. This hull features the armor belts, anchor bolsters, porthole locations and the shaft exits and strut locations molded in and come with a set of detailed arrangement plans of the ship as she appeared late in the war. Special Shipping: This hull can be shipped via FEDEX Ground Service as in OS-2 size package. Minimum Shipping and handling in the USA 48 states is $ 110.00. CFor information regarding a propeller shaft set for this ship click here. The BROOKLYN class light cruisers were designed and built in response to the new Japanese MOGAMl class cruisers that were coming on the world Naval scene with quite a stir in the mid 1930's. There were 7 ships of this class and 2 additional ships that were redesigned and became the ST. LOUlS class. These ships mounted 15 8'-47 cal guns in 5 triple turrets, making these the heaviest armed light cruisers built. 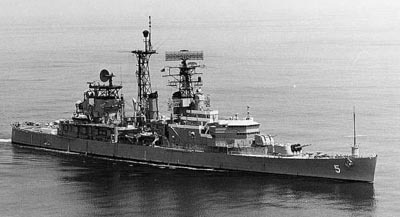 The Brooklyn was transferred to the Chilean navy served as the O'HIGGINS until stricken in 1992 over 50 years after original commissioning. This ship was the last of her type to Survive: she was sold for scrap and sank while under tow to the scrappers in Pakistan. This hull features the armor belt, anchor bolster and the shaft exits & strut locations molded in. Plans for this ship are available from The Floating Drydock. USS WlCHlTA (CA45) was a one of kind heavy cruiser. Originally intended to be the 8th unit of the CA-32 class, the ship was built instead to a similar design as the BROOKLYN (CL40) class light cruisers but with improved armor protection. The WlCHlTA served in the Atlantic during the early months of the war then was present at the North African invasion before reporting to the Pacific to replace cruiser losses in the Solomon's actions. The Witch saw action in most of the battles in the Pacific for the duration of the war .This hull features molded in armor belts, anchor bolsters and the shaft exits and strut locations molded in. Special Shipping: This hull can be shipped via FEDEX Ground Service as in OS-2 size package. Minimum Shipping and handling in the USA 48 states is $ 98.00. The ATLANTA class Anti Aircraft Light Cruiser CL(AA) 5l.were the first US Navy ships to be built as anti-aircraft escorts and were designed along the lines of the British DlDO class cruisers. These ships had several firsts with the US Navy, such as, knuckled bow, enlarged destroyer type machinery in a cruiser sized hull, and the first USN cruiser to mount 5" guns as the main armament. The 4 Atlanta class cruisers served well through the Pacific war and earned many battle stars even though both the ATLANTA (CL -51) and the JUNEAU (CL-52) were both lost in November 1942 off Guadalcanal in one of the many engagements fought there This hull features the bow bulwark, anchor bolster, armor belts ,shaft exits and strut locations molded in. Drawings and photos for this ship are available from: The Floating Drydock. Special Shipping: This hull can be shipped via FEDEX Ground Service as in OS-1 size package. Shipping and handling in the USA 48 states is $ 80.00. There were 27 CLEVELAND class Light Cruisers completed during World War 2. These ships were designed and built to counter the numerous Japanese cruisers and destroyers that were expected to be encountered in the South and Western Pacific if war did break out between the US and Japan. During the war that did break out, these ships fought in almost every naval battle form late 1942 until the end of the war. Although some of these ships sustained severe damage during these engagements, none were lost as a result. Our CL-55 hull features molded in armor belts, hull knuckles, anchor bolsters shaft exits and strut locations. Also included is a set of arrangement plans for the CL-92. Special Shipping: This hull can be shipped via FEDEX Ground Service as in OS-2 size package. Minimum Shipping and handling in the USA 48 states is $ 135.00. This hull represents the square stern BALTIMORE class cruisers that were converted into Guided Missile Heavy Cruisers. These 2 ships were converted into what they called single end missile cruisers, Most of the superstructure from where the forward stack stood, was removed and a new structure built to accommodate the terrier missile launchers and directors. This conversion also included trunking the uptakes into a single large stack new mast and radars were also installed at this time. This hull does not come with plans, Plans are available from the Floating Drydock. Special Shipping: This hull can be shipped via FEDEX Ground Service as in OS-2 size package. Shipping and handling in the USA 48 states is $ 135.00. 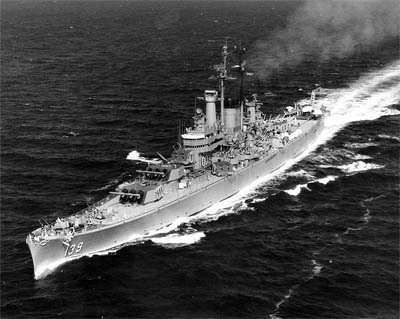 The PITTSBURGH'S were generally referred to as BALTlMORE class Heavy Cruisers. 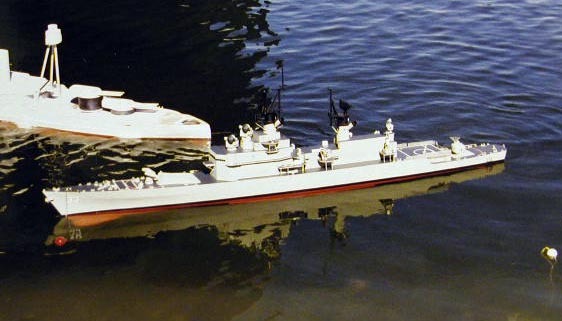 These ships were almost identical to the previous CA-68 class series except for the entirely redesigned stern section of the hull with only 1 aircraft crane on the fantail instead of 2 and several other changes to the superstructure to improve visibility and anti-aircraft capabilities. This hull features molded in bow bulwarks, anchor bolsters, armor belts, shaft exits and strut locations. This hull can be used to model the CA-72 to CA-75. CA-122, 123, 135 and CA-136 only. CG-11 Set $ 982.00 ; Plans availabe at the Floating Drydock. Contact us for detail for the above sets. 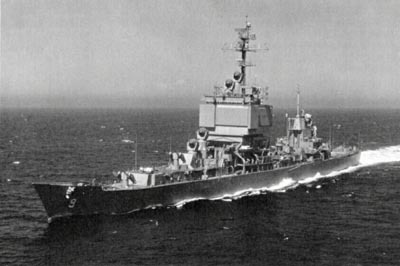 OAKLAND'S were improved ATLANTA (CL-51) class light cruisers. Due to war experiences the bridge structure was redesigned to improve visibility for the crew and sky spotters during anti-aircraft actions, and the 2 waist mounted 5" guns were eliminated in order to make space and weight available for more medium and light AA guns. This hull has the bow bulwark, anchor bolsters, armor belts and the shaft exits & strut locations molded in. Drawings and photos of this Ship can be ordered from the Floating Drydock. Special Shipping: This hull can be shipped via FEDEX Ground Service as in OS-1size package. Shipping and handling in the USA 48 states is $ 80.00. The USS Juneau CL-119 class cruisers were the 3rd group of USS ATLANTA (CL-51) class light cruisers. Due to war experiences with the Atlanta and Oakland groups the bridge structure was redesigned to improve overhead visibility and firing arc's for the light AA. The super firing 5" twin mounts were all lowered to improve stability and reduce weight. The Juneau served into July 1956 and was the last of the World War 2 CL's in service. This hull has the bow bulwark, anchor bolsters, armor belts and the shaft exits & strut locations molded in. Drawings and photos of this Ship can be ordered from the Floating Drydock. This hull represents the 6 CLEVELAND class light cruisers that were converted ta single end guided missile light cruisers (CLG-3 class) in the late 1950's and early 60's to provide Terrier and Talos missile launching platforms in the US Navy until larger and newer guided missile destroyers and cruisers could be designed and built to provide for fleet anti-aircraft missile defense. 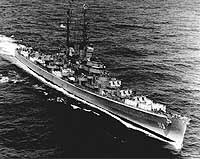 The OKLAHOMA ClTY served as seventh fleet flagship during most of her career in the Far East. This hull features molded in anchor bolsters, armor belts shaft exits and strut locations to aid the modeler with building their ship A set of arrangement plans for the CLG-4 accompanies this hull. The LONG BEACH was the largest Nuclear powered cruiser in the US Navy and just completed over 3 decades of service This ship had many firsts to her credit including: first nuclear powered surface warship to be built, first cruiser to have only missiles as main armament and she was the first cruiser to be designed and built by the US Navy after the large cruiser building programs of World War Two were halted in the late 1940's. Our USS LONG BEACH hull features molded in anchor bolsters, bilge keels shaft exits ,main cooling water intake, and the keel mounted sonar dome. A detailed set of plans also accompanies this hull. Special Shipping: This hull can be shipped via FEDEX Ground Service as in OS-3 size package. Shipping and handling in the USA 48 states is $ 185.00. The 9 LEAHY class Guided Missile Cruisers were designed and built to provide long range anti-aircraft and anti missile protection for the US Navy's carrier battle groups. Originally these ships were designated as guided missile destroyer leaders (DLG-16) class, this was changed to CG in 1975. These ships were all removed from service in 1992 to 1994. Our LEAHY hull features the bow mounted sonar dome, anchor bolsters shaft exits and strut locations molded in and comes with a set of drawings of the CG-21 as she appeared when new in 1967. Special Shipping: This hull can be shipped via FEDEX Ground Service as in OS-1size package. Shipping and handling in the USA 48 states is $ 85.00. 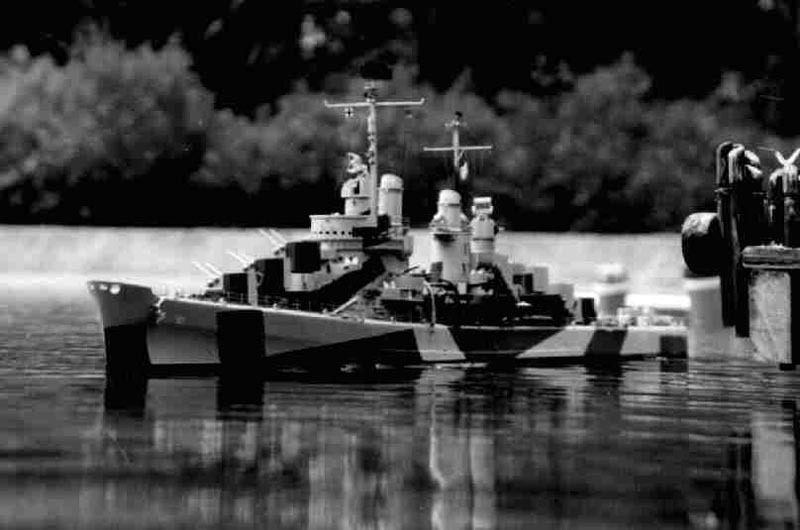 The 9 ships of the BELKNAP class were built along similar lines as the previous CG-16 class Guided Missile Cruisers except that these ships have a 5'-54 cal, MK42 single semi-auto gun mount aft in place of the second MK- 11 twin arm missile launcher. Another improvement to this class was the addition of helicopter facilities and a larger more capable sonar system. 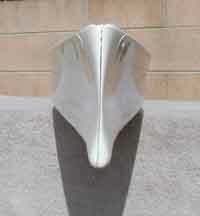 This hull has the large bow mounted sonar dome, anchor bolsters shaft exits and strut locations molded in. Special Shipping: This hull can be shipped via FEDEX Ground Service as in OS-1 size package. Shipping and handling in the USA 48 states is $ 88.00. The TlCONDEROGA class Guided Missile Cruisers were designed and built to carry the Aegis radar I tracking system for area anti aircraft and anti-missile defensive system for the US Navy's Carrier Battle Groups (CVBG). This system is built around the SPY-1 Phased Array radar, which can track, identify and illuminate multiple targets simultaneously over a large area. 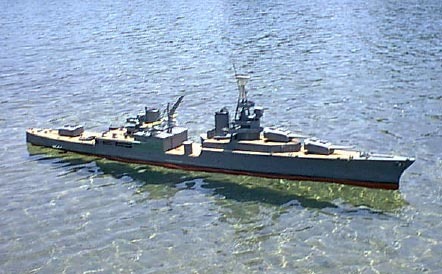 The CG-47 class cruisers are built on an improved SPRUANCE class destroyer hull. The first 5 ships this class have the MK-26 twin arm missile launchers mounted fore and aft, while all follow on ships from CG-52 have the newer MK41 vertical launching system installed. These ships have had many design changes between the first ships of the class to the final ones. Our CG-47 hull features the bow bulwark, shaft exits & strut locations and the large bow mounted sonar dome molded in and comes with a set af drawings for the CG-47 as built. CG-47 SET This package includes the hull with plans, MK-26 missile launchers, S' guns, Harpoon launchers, ClWS I ,SPY-1 faces SLQ-32, WSC3 radomes and IFF antenna, SRBOC's and MK-99 illuminators. Doors, hatches, mooring bitts & chocks, fire hose racks & reels, life rafts, sliding padeyes, vents, side lights and many other parts listed in the fittings section comes with this set. You can contact us if you have further questions about this, or any of our hull packages. Special Shipping: This hull can be shipped via FEDEX Ground Service as in OS-1 size package. Shipping and handling in the USA 48 states is $ 98.00. The PRINZ EUGEN was an improved ADMIRAL HIPPER class heavy cruiser, and was the last of her type to be completed by the German Navy. With her raked Atlantic Bow and long profile she was considered one of the best looking cruisers of all time. 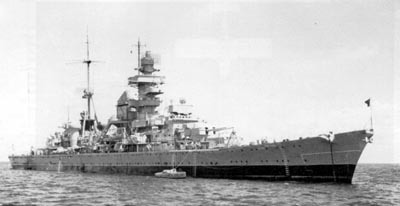 Her profile was very similar to the BISMARCK, resulting in the Battlecruiser HOOD firing on her, instead of the battleship during the fateful battle of the Denmark Strait. The PRINZ EUGEN continued to serve throughout the war, and was turned over to the US Navy in late 1945, eventually being expended in an Atomic bomb test. The GRAF SPEE was the last of 3 "Panzerschiffe" (Armored Ship) built by the German navy during the early l930's. These ships were most commonly referred to as "Pocket Battleships" in the naval publications and the news media of the time. After the GRAF SPEE had been lost the 2 remaining ships were reclassified as Heavy Cruisers. 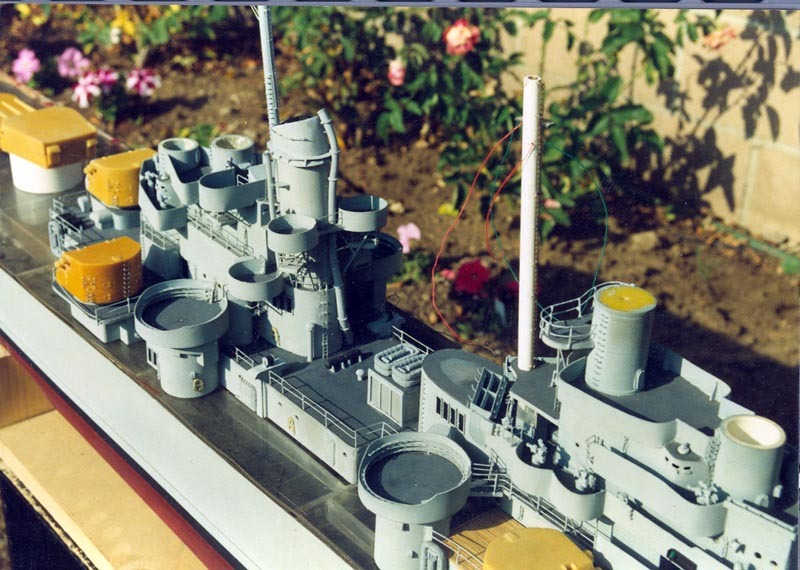 When these ships were first completed they caused quite a stir in the naval community, with their 11" turrets mounted on such a small displacement and diesel engines that could propel them to 28 knots. The idea of German naval planners was that they could "out-run anything they could not out-shoot". The GRAF SPEE was the first large ship loss of the German navy in World War 2, when she was scuttled off Uruguay in December of 1939. This hull features molded in anchor recesses, armor belts, porthole locations, shaft exit housings and strut locations. A detailed set of plans is included. Special Shipping: This hull can be shipped via FEDEX Ground Service as in OS-1 size package. Minimum Shipping and handling in the USA 48 states is $ 115.00. The DES MOINES CA-134 class cruisers were height of US Heavy Cruiser design, they were the largest and best armored of all heavy cruisers built by any navy. These ships were designed and had their construction commence during WW II but were completed towards the end of the 1940's, surpassingly non of these ships saw action during the Korean war, they were instead deployed to the eastern Atlantic and Mediterranean. 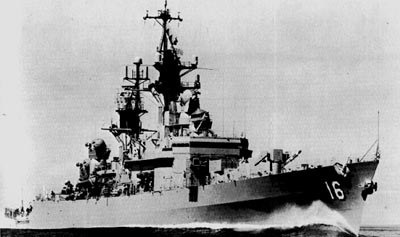 The only ship of this class to see any action was the USS Newport News CA-148, this ship acted as 7th Fleet Flagship during several tours of duty off Viet Nam until she was decommissioned in June of 1975 which gave her a career that spanned over 26 years, Newport News was scrapped in the mid 90's. The other 2 sisters were decommissioned in 1959 and 1961 and retained in the naval vessel register until 1993. The Salem is now a museum ship in Quincy Mass. Where she was built. 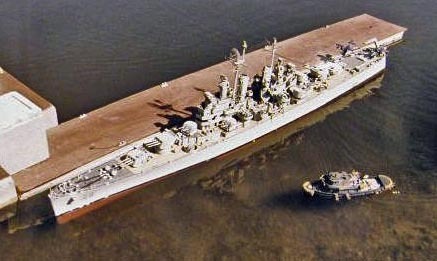 The Des Moines was scrapped in Texas in 2009 after nearly 5 decades in mothballs.. This hull has the armor belts, anchor bolsters, shaft exits & strut locations molded in. A set of arrangement plans is also included with this hull. Special Shipping: This hull can be shipped via FEDEX Ground Service as in OS-1 size package. Minimum Shipping and handling in the USA 48 states is $ 170.00.